An overview of the current thinking, including when to initiate antiepileptic drugs, supportive care for patients with status epilepticus, and long-term seizure control. Treatment with anticonvulsants should be initiated early in veterinary patients to help prevent a cycle of further seizures, Andrew Linklater, DVM, DACVECC, told attendees at the 2017 New York Vet conference in New York City. His presentation covered the causes of seizures, indications for beginning antiepileptic drug treatment, and treatment options for patients presenting in status epilepticus, which is seizure activity lasting longer than 5 minutes or a succession of 2 or more seizures with no return to normal consciousness in between. What are the 3 Phases of a Seizure? “Our goals of therapy are not only to limit the frequency of seizures but [also] to limit clusters,” said Dr. Linklater, a clinical instructor at Lakeshore Veterinary Specialists in Wisconsin. Seizures occur when abnormal electrical activity in the brain causes excessive neuronal transmission, which can manifest as uncontrolled motor activity. Grand mal seizures are characterized by tonic/clonic limb movements, altered level of consciousness, lack of response to stimuli, and sometimes urination and defecation. The presentation of nonconvulsive (petit mal) seizures is variable and can include extensor rigidity, facial tics, or aberrant eye movements. Some patients with nonconvulsive seizures may be aware of their surroundings.Although pet owners can usually describe grand mal seizures without difficulty, petit mal seizures are more difficult to recognize, Dr. Linklater said. Home video recordings of episodes can help differentiate seizures from syncope, weak-ness, neuromuscular disorders, and other conditions with seizure-like signs. 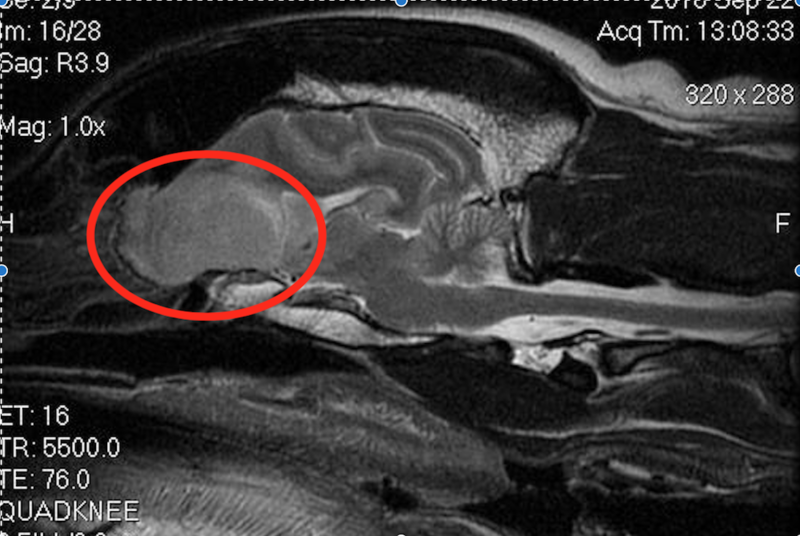 T2-weighted sagittal magnetic resonance image showing a brain tumor (circled) in the olfactory region of a 12-year-old male neutered Labrador retriever. Most seizures have 3 phases: pre-ictal, ictal and post-ictal, he said. Subtle behavior changes, such as licking or staring, may be identified in the pre-ictal phase, but more often this goes unobserved. The ictal phase is typically characterized by being unaware of surroundings, uncontrolled muscular movements, or loss of consciousness. The post-ictal phase, which lasts minutes to hours, involves abnormal behavior such as circling, aggression, or hiding. Although owners may not notice a pre-ictal phase, they might be able to provide a history showing that a pet experienced ictal and post-ictal phases. Because many pet toxins also can cause seizures, Dr. Linklater recommended asking pet owners specific questions about exposure to toxic substances. 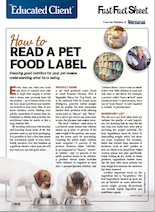 Asking if a patient “got into anything toxic” will often yield a “no” because pet owners might not consider products such as over-the-counter medications to be toxins. He suggested asking instead if the patient had access to any nonfood items, medications, marijuana, and so forth. Patients presenting with seizures should undergo a thorough physical examination and diagnostic workup to rule out the many conditions that can cause or mimic seizures (Box 1). Initial emergency diagnostic tests for patients presenting in status epilepticus include checking blood glucose, electrolyte, ammonia, and creatinine levels; packed cell volume and total blood solids; and blood pressure. Further workup is usually needed to eliminate possible causes of seizures. “Epilepsy is a diagnosis of exclusion,” Dr. Linklater said. Additional screenings are typically performed before proceeding to magnetic resonance imag-ing and cerebrospinal fluid analysis. 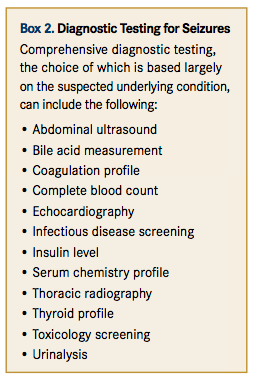 The choice of tests depends to some extent on the patient’s suspected underlying disease (Box 2). “A single seizure is not an indication to start antiepileptic drugs,” Dr. Linklater said. Anticonvulsant treatment should be initiated if a patient presents in status epilepticus, has cluster seizures (more than 1 seizure in 24 hours), or has more than 1 seizure every 4 to 8 weeks. Dr. Linklater suggested that the goal might be limiting a seizure to no more often than every 2 to 4 months. For patients presenting in status epilepticus, veterinarians must first address airway, breathing, and circulatory problems, Dr. Linklater said. 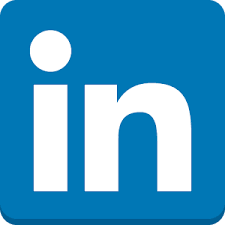 Some patients require supplemental oxygen or intubation. Prompt placement of an intravenous (IV) catheter allows for timely treatment of shock. Patients may also need treatment for hyperthermia or hypertension. Patients in status epilepticus may be hypoglycemic and require IV dextrose administration. Patients with insulinoma should be given a lower initial dose than other patients get, Dr. Linklater said, because large boluses of dextrose can stimulate neoplastic pancreatic cells to release insulin. Benzodiazepines are the first-line antiepileptic drugs for most patients in status epilepticus, he said. These gamma-aminobutyric acid (GABA) receptor agonists reduce seizure activity in the brain. Diazepam and midazolam are equally effective and can be administered either intravenously or rectally. Midazolam can be given intramuscularly, although this route slows the onset of action. A constant-rate IV infusion of diazepam should be administered through a dedicated catheter because this drug does not mix well with other medications. Diazepam is not used for long-term seizure control because of its short duration. Also, it may cause hepatic necrosis in cats when given orally. Benzodiazepines should not be used as first-line seizure treatment in patients with suspected portosystemic shunts. Patients with portovascular anomalies may have increased benzodiazepine receptor sensitivity, and administering exogenous benzodiazepines can induce coma. In patients with suspected ethylene glycol intoxication, blood samples should be obtained before diazepam is administered.  Diazepam preparations include propylene glycol, which yields a false-positive result on ethylene glycol tests. 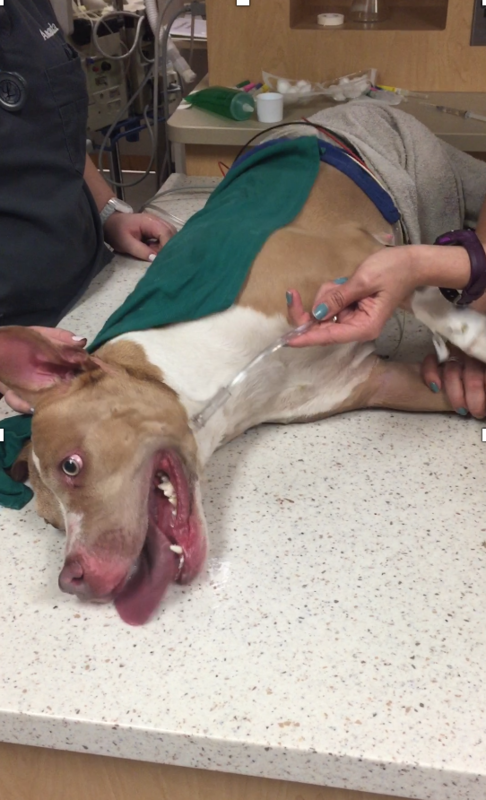 This 2-year-old female spayed pitbull that presented in status epilepticus is receiving flow-by oxygen and active cooling due to marked hyperthermia. A catheter was placed to administer fluids and injectable medications. the first choice for treating status epilepticus in patients with possible portovascular anomalies. Patients that require constant-rate infusion must be monitored carefully, may need to be intubated, and should be managed at a 24-hour facility that can provide supplemental oxygen and mechanical ventilation. Dr. Linklater discussed other options for treating seizures in patients in status epilepticus, such as the injectable form of levetiracetam, which has a rapid onset of action and a low risk of adverse effects. However, he said, it may not be as effective as phenobarbital or propofol in arresting status epilepticus. Alternatives include phenytoin and pentobarbital, but they may not be readily available. Patients can be anesthetized with an inhalant anesthetic agent such as isoflurane if other drugs do not stop the seizures or are unavailable. All patients presenting in status epilepticus should begin long-term antiepileptic treatment, Dr. Linklater said. 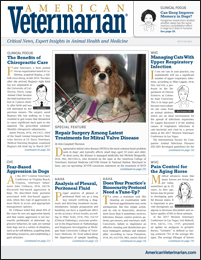 The most commonly used agents are phenobarbital and levetiracetam, with the choice often based on cost, potential adverse effects, and owner considerations. For example, levetiracetam is associated with few adverse effects but requires diligent administration 2 or 3 times a day, depending on the formulation. Phenobarbital may be more suitable for pet owners who may not be as disciplined about giving each dose, he said. Potassium bromide can be used in dogs only. 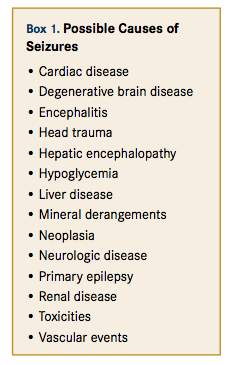 Other long-term antiepileptic drugs include zonisamide, felbamate, pregabalin, gabapentin, and valproic acid. Patients that already take an antiepileptic drug but experience breakthrough seizures may need a higher dose or an additional drug, Dr. Linklater said. Measuring the blood level of the current drug can indicate whether a dose increase is warranted. With some antiepileptic agents, increasing the dose beyond a certain level is not likely to increase its effectiveness against seizures, he added. Dr. Linklater noted that patients in status epilepticus often need loading doses of long-term antiepileptic drugs, such as phenobarbital or bromide. Injection raises blood levels of these drugs to therapeutic levels quickly but can cause sedation, so patients must be monitored carefully. In addition to managing the seizures, clinicians must watch for and treat the consequences, Dr. Linklater said. Possible complications of status epilepticus include hyperthermia, which can cause secondary hypocoagulation, gastrointestinal signs, and organ failure; noncardiogenic pulmonary edema; self-induced trauma; cerebral edema; and temporary neurologic deficits.